Copper Fox Distillery of Virginia tells BourbonBlog.com that they launching the newest addition to the Copper Fox Distillery portfolio. The Copper Fox SASSY Single Malt Rye unique single malt distilled with 100 percent Virginia rye. At 90 proof, is floor malted and smoked with Virginia sassafras wood then double pot stilled, aged with a progressive series of new and used Applewood and oak chips inside used bourbon barrels, and finished in a second used bourbon barrel. The suggested retail price is $56.99 for 750 ml. We’ll bring you our review soon. For now, the tasting notes from the brand: Light mahogany in appearance with aromas of anise, cinnamon, and root beer/cola; coats the tongue with a smoky spiciness that lingers on the palate, but eventually mellows into notes of dried cranberries and black licorice. Additionally, Copper Fox says they are releasing new branding and packaging for the distillery’s existing products and new limited edition releases. (See photos here and below). 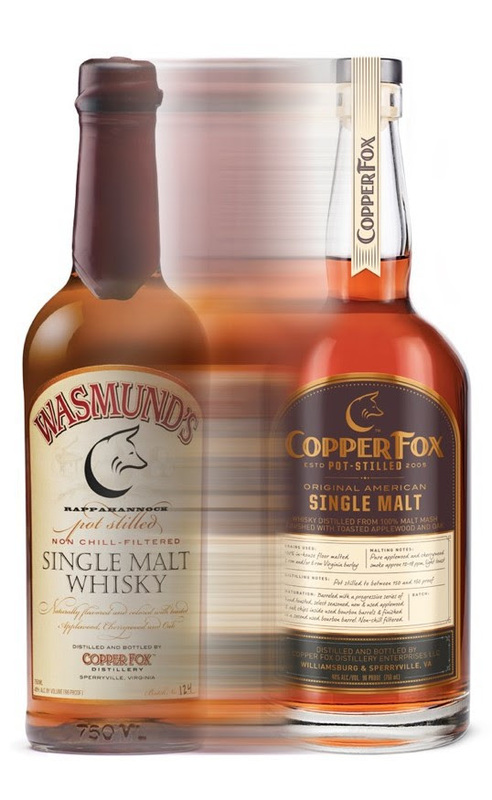 Current fans familiar with Copper Fox products will no longer see Wasmund’s on the Original Single Malt Whisky label. Copper Fox is a pioneering craft distillery that was established in 2005. They have locations in both Williamsburg and Sperryville, Virginia, Copper Fox Distillery produces single malt whisky, rye, and gin. Copper Fox products are available in 22 states, Washington, D.C., and The Netherlands.